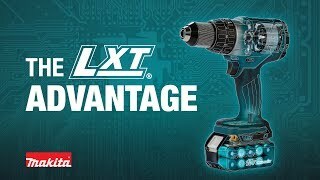 Makita is the leader in brushless motor technology, and the 18V LXT® Lithium-Ion Brushless Cordless 5-7/8” Metal Cutting Saw (model XSC02T) delivers faster metal cutting through Unistrut®, all thread, channel, corrugated, conduit, pipe, sheet metal, square tubing, steel and more. With a full 2-1/4" cutting capacity, it is ideal for electrical contractors since it will cut 2” conduit in one pass – a huge time saver. It is also ideal for HVAC, installation, metal building, metal fabrication, plumbing, metal roofing, and for any pro-contractor who requires a best-in-class cordless metal cutting saw. The kit includes two fast-charging 18V Lithium-Ion 5.0Ah batteries and a Rapid Optimum Charger. Makita offers four optimum 5-7/8" blade options for use with the XSC02T: 32T carbide tipped for metal and general purpose; 52T for thin metal; 52T for aluminum; and 60T for stainless steel (all sold separately). Max. Cutting Depth : 2-1/4"
Shipping Weight : 15.2 lbs.